You will remember that this is not the first time capsaicin made it into the SuppVersity news - as a fat burner and potential ergogenic that is | learn more. That capsaicin is a relatively powerful metabolic isn't news. In Nutrition Research Rigamonti et al. write: "Studies in animals and humans have shown that capsaicin decreases food intake and increases energy expenditure, stimulates fat oxidation, regulates appetite (by decreasing hunger and increasing satiety), and modifies the expression of some hypothalamic peptides implicated in food intake" (Rigamonti 2018) - effects of which the authors highlight that they have been observed in both, lean and overweight adults, but not in "obese adolescents, who are at high risk to become obese adults and for whom effective multidisciplinary integrated body weight reduction programs are needed" (ibid). If you develop too much stomach acid, bicarbonate may help + it has ergogenic effects, too! 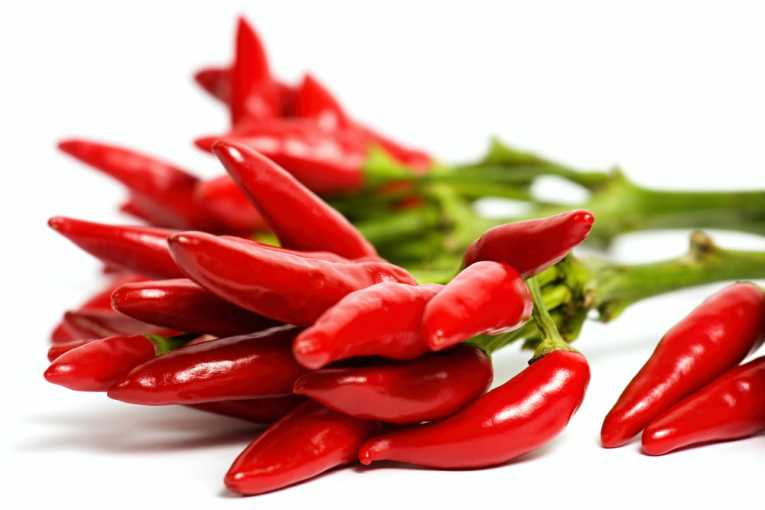 What makes capsaicin particularly attractive as a weight loss adjuvant is its ability to do both: increase your energy requirements and suppress your appetite. The previously referenced >150kcal/d increase in resting energy expenditure, for example, would be worth nothing if people simply compensated by eating more... with its effect on satiety hormones and gastric emptying, capsaicin has been found to prevent that and thus to induce an effective (albeit small) caloric deficit. 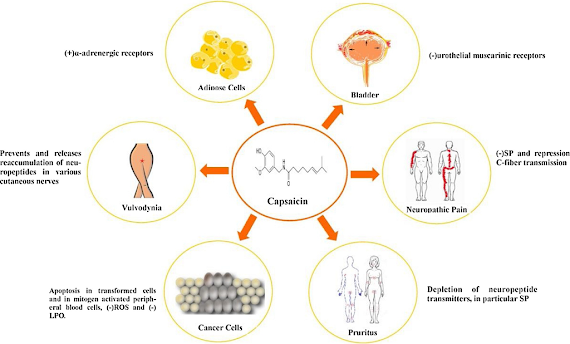 Figure 1: Therapeutic role of capsaicin in various pathological conditions (Patowary 2018). Don't forget, though: The word "small" is important, here. After all, conventional wisdom tells you that you'd have to wait for 20 days to shed only 1lbs of fat if your deficit is only 150kcal/d (we all know that this is just a very rough estimate, don't we?). That's not super-impressive, but it would be better than not losing any body fat. "[...]the aim of the present study was to evaluate the acute effects of capsaicin (2 mg) or placebo on energy intake, hunger and satiety in obese adolescents and young adults (F/M = 4/6, age: 21.0±5.8 yrs; BMI: 41.5±4.3 kg/m2), provided an ad libitum dinner" (Rigamonti 2018). When compared to placebo, capsaicin did not significantly change either energy intake or hunger/satiety six hours after its administration (dinner). No differences in circulating levels of ghrelin, GLP-1, and PYY and in hunger/satiety were found in the three hours immediately after food ingestion among obese subjects treated with capsaicin or placebo (lunch). The good news is, the increase in resting energy expenditure (REE) that has been previously observed mostly in rodent studies (as a SuppVersity reader you know that rodents have a much stronger response to thermogenics) wasn't just statistically relevant, but, at ~150kcal/d, so "large" that it could actually make a small difference... if it's combined with exercise and an energy-restricted diet. Figure 2: Delta pre-post lunch REE in young obese subjects treated with capsaicin or placebo (left) and hunger and satiety, and residual calories of food (i.e., percent difference between pre- and post-dinner values) in young obese subjects after dinner (consumed ad libitum within 20 min starting at T0), administered with capsaicin or placebo (right, Rigamonti 2018). That the subjects' appetite was not affected, however, is still a problem. After all, a metabolic activator, like capsaicin, will only promote fat loss if the - honestly small - increase in energy expenditure isn't compensated by an increased food intake, which is likely going to happen in a real-world scenario. Bottom line: As potentially relevant as the ~150kcal/d increase in energy expenditure can be, there are two caveats we must not forget: (a) to make a (fat loss) difference, those 150kcal/d must not be compensated for by increases in energy intake - in the absence of anorexic effects, it is yet likely that this will be the case; (b) with only ~150 extra kcals per day, the increase may be non-negligable and statistically significant, but it's not going to get you jacked unless you add it on top of a baseline deficit. Accordingly, it is a marketing lie if you call capsaicin a "fat burner"... a more realistic/honest description would be a "metabolic activator" that may be used as a fat loss adjuvant - one that won't actively trigger but at least support the reduction in body fat. 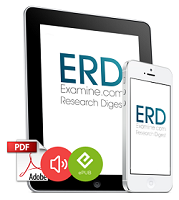 More specifically, the comparison to ephedrin lacks validity, because the latter will (unlike capsaicin) kill your appetite and amp up your CNS in a way that restores your energy levels to pre-dieting levels or above - thus increasing your training performance and ability to stick to your diet and exercise regimen (a regimen without which you won't get jacked even on ephedrine), which by the way could modify the effects that were, in the study at hand, observed in overweight/obese mostly sedentary subjects | Comment! Patowary, Pompy, et al. "Research progress of capsaicin responses to various pharmacological challenges." Biomedicine & Pharmacotherapy (2017). Rigamonti, et al. "Acute administration of capsaicin increases resting energy expenditure in young obese subjects without affecting energy intake, appetite and circulating levels of orexigenic/anorexigenic peptides." Nutrition Research. Available online 10 February 2018 - In Press, Accepted Manuscript.